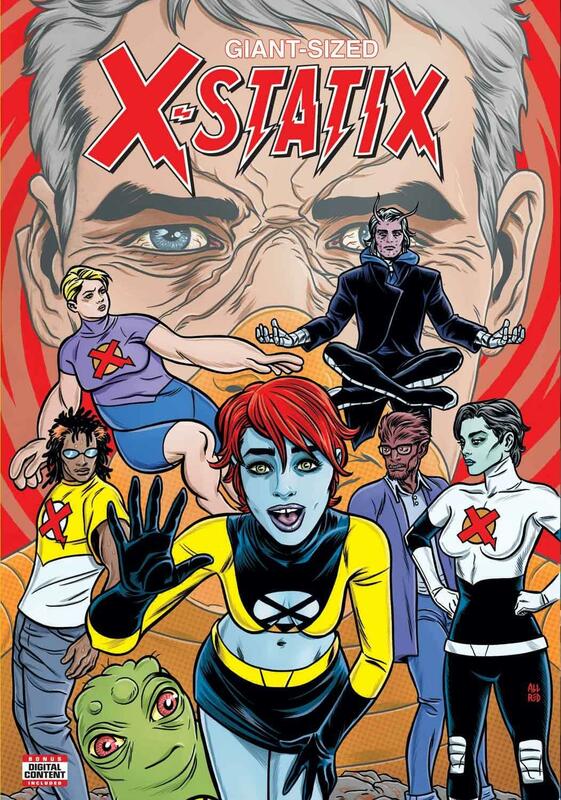 The original X-Statix creative team returns for the special one-shot! This July, the X-Statix are back and more alive than ever for the special one-shot issue, GIANT-SIZED X-STATIX #1! Written by Peter Milligan with art by Michael Allred and Laura Allred—the creative team that originated the series almost 20 years ago—the fan-favorite mutant squad joins forces once again! But what new threat is so grave that only the most famous mutant celebrities can fight it? And who is the new U-Go-Girl? Find out more at your local comic shop this July!